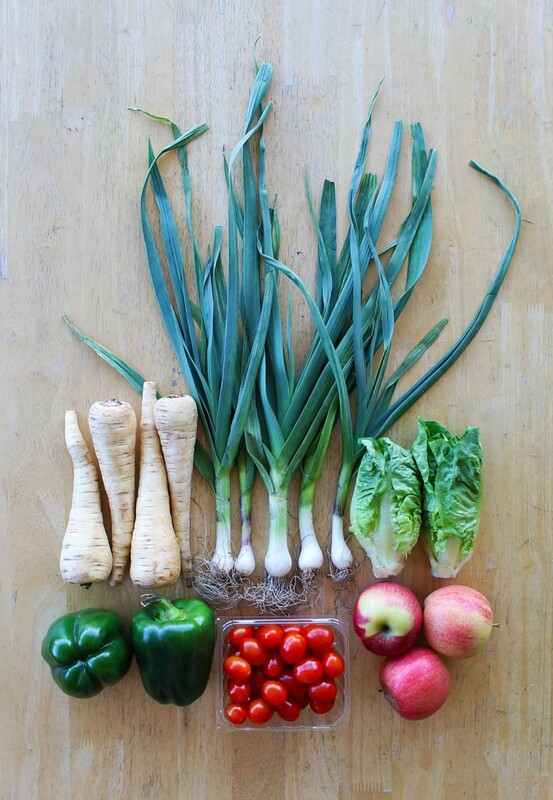 This week we have spring garlic, Fuji apples, Little Gem lettuce, medium green peppers, parsnips, and grape tomatoes. As with last week, the local farm produce is supplemented with produce grown in Florida since not much is growing here yet, though it is starting to get warmer! 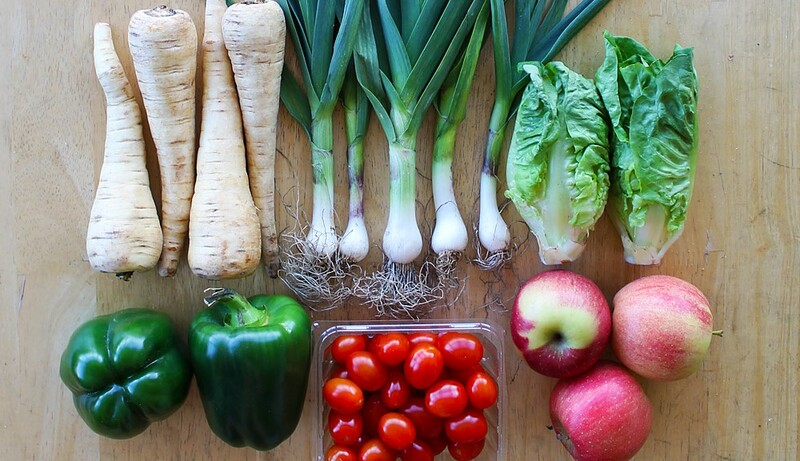 You may remember that green garlic was in one of our first CSA boxes last year. It is not-quite-ripe garlic with a stalk that is also edible and a bulb that does not need to be peeled. It’s like a cross between garlic and scallion. Can’t wait to try it!